A piece of my childhood... - I see better from a distance. 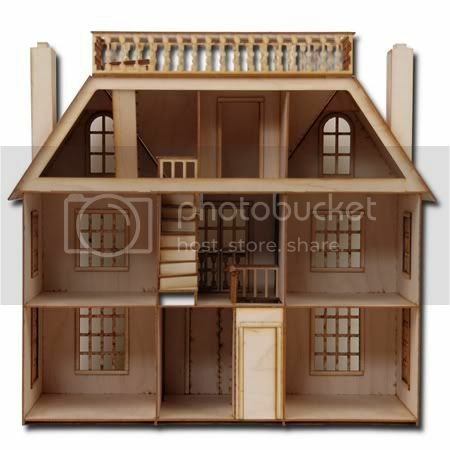 This blog has a finished version of the dollhouse I had as a child, the "Van Buren" by Greenleaf. My parents bought the kit and built it for me for Christmas when I was seven. We never got around to finishing it like the one in this blog- it was STOLEN when we moved from New York. Greenleaf discontinued the kit years ago. They do make a miniature version- half the size of the original! I'll settle for the mini. I don't have room for the big one! I loved that dollhouse so much. I cried when I found out it had been stolen! The moving company reimbursed us, and Dad got me a new house...but it was totally different. I would love to have this one again, even in miniature form. It IS a beautiful house! Are you going to get the mini version? They're very nice for a shelf and the quarter inch furniture from Hobby Supplies fits perfectly. I probably will get the mini. It's 1/2 inch scale, but I may just use it to display small dolls rather than furnish it. 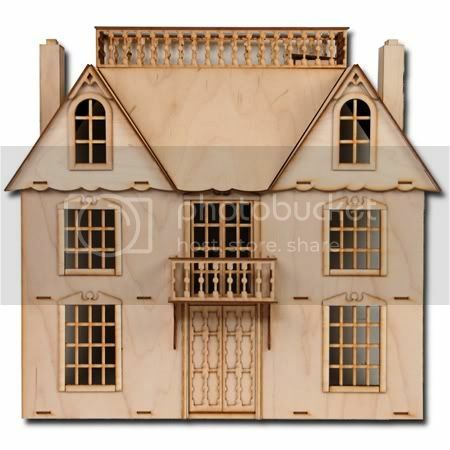 I liked this house because it had so many rooms, and actually had stairs to the attic (many dollhouses don't).